Phoenix Periodontist Blog | Arizona Periodontal Group - This is the blog of Arizona Periodontal Group discussing periodontics and a healthy mouth! When thinking about the future of your smile, that includes dental implants, asking what you’ll be able to eat is a great question! A lot of patients wonder what foods can be eaten with dental implants. Here’s a quick answer: almost anything. Yes, we really mean any. That’s the great thing about dental implants. They act very much like regular teeth, and this article is going to show you how. Now, let’s first talk about titanium. Dental implants are incredible innovations in dental technology. They combine the artistry of dental surgery with material engineering. The process is very simple, and at Arizona Periodontal Group in Phoenix, Dr. Trujillo perform this procedure all the time. Here is a quick explanation of what the process is in a typical dental implant procedure. First, a titanium screw is implanted into the jawbone. That’s why it’s called a dental implant. The purpose of the screw is to act as an anchor for the tooth. Much like the roots of a tree, or the roots of your teeth, the screw holds the permanent replacement tooth in place, as well as giving support to the teeth surrounding it. The reason titanium is used is because titanium is a metal capable of fusing with your bone, is super strong, and isn’t rejected by your body. The implant will heal within your jaw bone, in much the same way the roots of your teeth do. Your Dental implant creates a very strong hold and, when completely healed, your implant functions like a normal tooth. You can expect a brief period where your mouth will still be healing from the procedure. During this period, we recommend that you drink mostly liquids. Then once Dr Trujillo gives you the OK, you can start moving into eating soft foods and work your way up to a normal diet. Once that’s over, the sky’s the limit. That’s precisely why dental implants are such an amazing invention. They give you all the flexibility and freedom that your normal teeth did. They even look like normal teeth. Not only do you get the amazing feeling of seeing a full smile in the mirror once again, but you get the amazing feeling of eating hamburgers on the 4th of July, watermelon at a summer picnic, delicious caramel apples in the fall, and tortilla chips on game day! There are many places here in Phoenix to get dental implants. One of the best, according to our patients, is Arizona Periodontal Group. Dr. Trujillo has deep knowledge of, and expertise in dentistry and the field of dental implants. If you are interested in seeing if you are ready for dental implants then we would love to have you come in to our practice to meet with Dr. Trujillo personally so he can answer any questions that you might have. Get your dental implant appointment scheduled today! 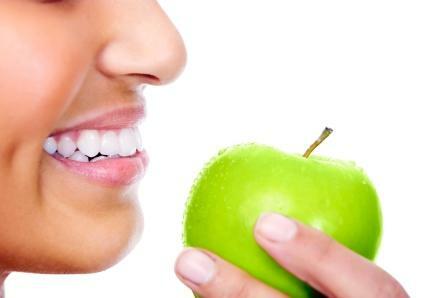 There is a direct correlation between your dental health and your overall health. The condition of your mouth is a good way to tell what kind of health a person is in. 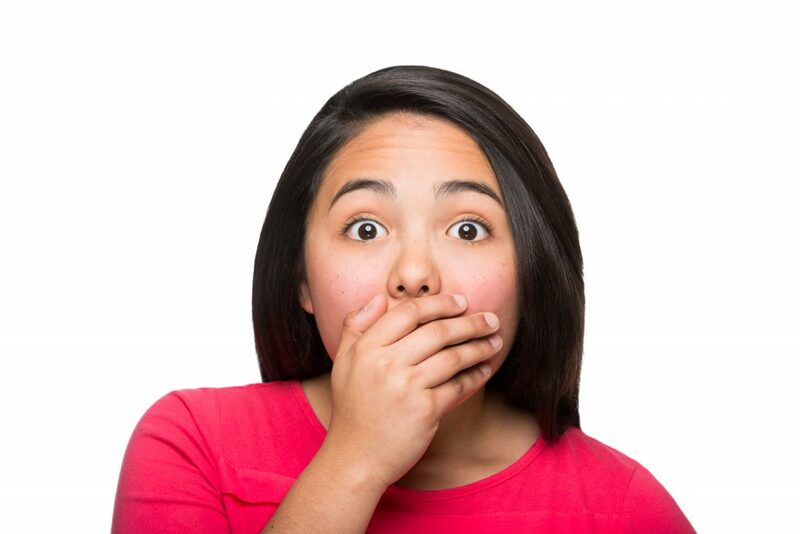 Our mouths can give us warning signs of what is going on and how we may be feeling. One of the major warning signs of gum disease is having receding gums. When bacteria- containing plaque builds up on the gums and teeth, it causes inflammation so severe that it can actually start to destroy gum tissue. This can lead to your gums pulling away from your teeth, exposing the roots, and can start the development of small pockets that hold harmful bacteria. These pockets can cause increased inflammation and creating more harm that can be detrimental to your overall health! Gum recession is not something everyone typically gets. But if you do notice that your gums are receding or have increased sensitivity give Arizona Periodontal Group a call today. It’s important that you start gum recession treatment in Phoenix right away. An innovative treatment that Dr. Trujillo offers is the Pinhole Surgical Technique. 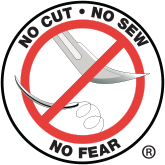 While traditional treatment for receding gums requires cutting and creating sutures, the pinhole surgical technique only requires one tiny hole in the gum tissue. This less-invasive procedure starts by gently repositioning gum tissue through the tiny hole to cover the root of the teeth that has been exposed. It takes less than an hour and can be done on multiple teeth at once. No cutting or stitching required. Not only is this less-invasive but it also reduces the risk of infection or complications. No gum grafts. No extra cuts into your soft palate creating a graft. Discomfort is minimal. Rarely is there any discomfort reported by our patients following treatment. Quick recovery time. This procedure brings much quicker healing time and you will be able to return to your daily activities immediately. Pinhole Surgical Technique offered at our Phoenix dental practice is the procedure you need to treat gum recession. Schedule an appointment with us today! We can answer any questions that you have and we look forward to your visit. Many have heard of gum disease, but if you’re like most people, you probably don’t know much about it. It’s caused by the spreading of bacteria and infection into your gums, and it can lead to several very dangerous conditions. When bacteria and other particles are introduced to the mouth, they multiply and form plaque on your teeth. Plaque that is not properly removed by brushing and flossing can form into tartar which is a harder substance which can’t be cleaned off by simple brushing. If this tartar is left unchecked, it can cause you to get gum disease. Damage to teeth. Because gum disease weakens your gums’ ability to stabilize the teeth, one of the great risks of gum disease is losing a tooth. In fact, gum disease is the most common cause for tooth loss among adults. Increased blood sugar. If you have diabetes, you probably already know that this can be a big problem. Heart disease. The American Academy of Periodontology has shown that individuals with gum disease are twice as likely to get coronary artery disease. Potential pregnancy issues. Because pregnant women have unusually high levels of progesterone and estrogen, the gum tissues tend to become more reactive plaque. As a result, pregnant mothers are at higher risk of contracting gum disease, and should especially maintain their oral health by practicing good oral hygiene. Dr. Trujillo, a periodontist in Phoenix, strongly recommends that patients come in for checkups if they are noticing bleeding gums or other symptoms that could be a sign of gum disease. All of us at Arizona Periodontal Group are e a kind, well-trained, team, and we know you’ll be happy you visited us! Luckily, the treatment for preventing gum disease is relatively easy! Just brush and floss regularly, and come in periodically for a professional cleaning. Dr Trujillo, and the staff at Arizona Periodontal Group, we aspire to provide some of the best gum disease treatment in Phoenix. Make an appointment today to change your life and improve your smile! Gum disease is an infection of the tissues that surround and support your teeth. It is a major cause of tooth loss in adults. Because gum disease is usually painless, you may not know you have it. Gum disease, also called periodontal disease or periodontitis, is caused by plaque, the sticky film of bacteria that is constantly forming on our teeth. This is very common but largely preventable. It’s usually the result of poor oral hygiene. The Centers for Disease Control and Prevention (CDC) recently did a study to regarding those who suffer from gum disease. The study confirmed that almost 50 percent of adults in the U.S., who are over the age of 30, have the advanced form of periodontal disease, or gum disease. The data they gathered was from the years 2009 through 2012. They found that gum disease is prevalent in the United States. Americans bear a very heavy burden when it comes to periodontal disease. Simply put, as a country, we need to be better at dental hygiene. We need to do better at it in our individual homes. We need to put public health programs in place that aims to prevent and control gum disease. By promoting overall health in adults we can significantly reduce the rate of periodontitis. This also will improve individuals health in the long run and help to prevent some serious diseases later on in life. The good news is that periodontal disease is both preventable and reversible if caught early enough. Brushing at least twice a day, flossing daily and getting regular dental checkups can greatly improve your chances of successful treatment for periodontitis and can also reduce your chance of developing it. Having regular dental exams is vital in preventing and reversing gum disease. The study findings recommended that all adults over the age of 30 should have annual comprehensive periodontal evaluations and assessments by a dental professional. This is the only way that gum disease can be identified and treated. If you think you may have gum disease or would like an exam to evaluate your dental needs, Dr. Trujillo of Arizona Periodontal Group is the Phoenix Periodontist you’ve been looking for. He is bilingual, speaking both Spanish and English, and is committed to his patients and their needs. Don’t let another day go by thinking you may have gum disease, schedule an appointment today! After your laser gum treatment in Phoenix there are some information you should know and instructions that are important to follow. Do no be alarmed with any color changes or appearance of tissue following laser therapy. Tissues can be gray, yellow, red, blue, purple, stringy, and reflect normal response to laser treatments. Reduce activity for several hours following the treatment. It is OK to spit, rinse, and wash your mouth today. Rinse as directed with Peridex or Periogard morning and night. In between, it is OK to rinse gently every 3 hours with warm salt water. Do not chew on the side of your mouth which has been treated. Do no eat spicy or excessively hot foods. Try to keep your mouth as clean as possible in order to help the healing process. You may brush and floss in areas of your mouth that we DID NOT do treatment. DO NOT BRUSH AND FLOSS THE TREATED AREA FOR 2 WEEKS AFTER THE LAST SURGICAL VISIT! ONLY RINSE! Some oozing of blood may occur. You may place pressure on these areas with a wet tea bag. If you feel you are having excessive bleeding, please call our office. It is very important to maintain a good food and fluid intake. Try to eat soft but nutritious food such as eggs, yogurt, cottage cheese, ice cream, etc, until you can comfortable return to a normal diet. Do no be alarmed if your teeth become sore,tender, or sensitive as the bone and ligament around the teeth regenerate. This is a sign of healing, but also indicates the presences of a bite imbalance that needs to be adjusted. The first three days following Laser Therapy, follow only a liquid like diet to allow healing. Anything that could be put into a blender to drink is ideal. The purpose of this is to protect the clot that is acting as a band-aid between the gum and the teeth. Do not drink through a straw, as this creates a vacuum in your mouth that can disturb the clot. DON’T chew gum, candy, cookies, chips, nuts, anything hard or crunchy, anything that has seeds or hard pieces, meet that shreds and can lodge under the gum and between teeth, raw vegetables or salad. Starting seven to ten days after treatment, mushy, soft foods are allowable. Soft foods have the consistency of pasta, fish, chicken or steamed vegetables. You may then gradually add back your regular diet choices. Once you have had LANAP in Phoenix it is very important to follow the above instructions by Dr. Trujillo. Please refer to him if you have any questions or concerns.